Make the characters YOU want to play. Take part in fast-paced, action-packed combat with skills that can be chained through exciting combos. Massive free-for-all Guild battles! 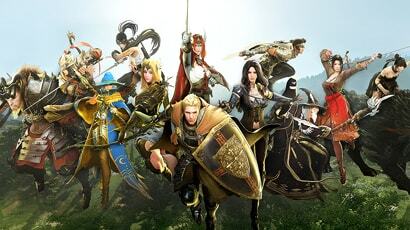 Join a Guild and participate in daily Node Wars or weekly Conquest Wars against many other competing Guilds. Win the Node or Castle and claim it for a week to collect taxes for your Guild. Craft a boat and make sail to the Great Ocean to fish, hunt ocean monsters and bosses, explore, gather, do quests, trade, and so much more. Catch and tame wild horses and elephants to accompany you on your adventures. You can also breed, exchange, and sell the horses you catch. Dark Knights fight with the Kriegsmesser and magic. They tend to spring up at an enemy and strikes blows with the fearsome Kriegsmesser. They can use magic for mid- and long-distance for more damage. After Awakening, they can use the Vediant to freely switch between close and ranged attacks. Strikers are hand-to-hand combatants who attained their skills through countless street brawls. From heavy punches to powerful kicks, their martial arts skills are matchless. After Awakening, they can use the Gardbrace on their both arms, and can also summon Echo Spirits to ambush their enemies from all sides. Mystics are hand-to-hand combatants who attained their skills after countless years training in the East. From heavy punches to powerful kicks, their martial arts skills are matchless and elegant. After Awakening, they can channel the aura of the Sea Dragon to deliver powerful blows with the pair of Cestus on their arms. Warriors are skilled fighters with both good attack and defense. Using the Sword and Shield as their main weapons, they are the best weapon-wielders among all the classes. 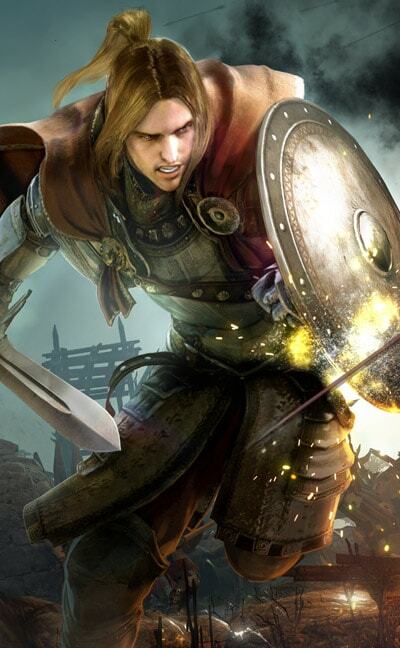 During battle, Warriors will show off their fearlessness with storm-like barrage of melee combat moves. After Awakening, they use two-handed Great Swords to deliver devastating blows to their enemies. Sorceresses can effectively control the battlefield with dark magic by using both melee and ranged attacks. They lure enemies with ranged magic and lead them to a chaos and painful demise once they come closer. Other races revere and fear the Sorceresses. After Awakening, they can use dark magic shroud themselves in darkness, and use a giant Scythe to cut down their enemies. Rangers are the specialists of ranged archery attacks. Under the grace of the Sylphs, Rangers present swift movement in any situation of battle. Most of their skills are based on preventing enemies' attempt of melee approach. The Sylph's mystic power is the source of their ability. After Awakening, they can wield the Kamasylven Sword to use melee type attacks. 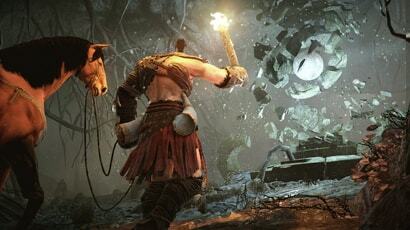 Berserkers wield monstrous double-axes as big as their own bodies. Berserkers overwhelm their enemies with their size and outrageous strength, annihilating them with ease. Although their physique makes them slow-moving, improved skills will compensate for that. After Awakening, they can use the Iron Buster to send powerful blasts at the enemy, almost like a small portable cannon. Tamers can fight enemies at any range. With the support of Heilang, the divine beast, Tamers can perform ruthless combination attack with Heilang, or take the enemy down themselves while borrowing the divine force from the beast. After Awakening, they can use the Celestial Bo Staff to channel the divine power as the true master of Heilang. Ninjas use sword, martial arts, and Ninjutsu. The swarm of attacks consisting of swift movement, smoke shells, and unique skills such as hiding and pulling the enemy into the middle of total chaos. With proper control, a Ninja can flip the battle by discreetly raiding important figures. After Awakening, they can use the Sura Katana to attack their enemies before they even realize what’s hit them. Musas fight with oriental-style martial arts and with the blade and horn bow. Musas are specialists in 1-on-1 showdowns, since their fast and precise attack combos can target enormous amount of damage at once. After Awakening, they can use the Crescent Blade to swiftly slice through their enemies. Maehwas fight with oriental-style martial arts and with the blade and horn bow. Maehwas are specialists in 1-on-1 showdowns, since their fast and precise attack combos can target enormous amount of damage at once. After Awakening, they use the Kerispear to deliver lethal stabs. Valkyries are armed with sword, shield, and divine magic. They can use their weapons to powerful blows to their enemies. They can also use their divine magic for healing and empowering allies. After Awakening, they can use Lancia, a weapon that is even taller than a Valkyrie and greatly boosts her great offense and defense. Wizards are known for their prudence in battle. In exchange for the casting time delay, they can perform large-scale magical attacks. Their thorough moves can burn, freeze and shatter their enemies with the power of natural elements such as fire, ice, wind, lightning, and earth. After Awakening, they can use the Godr Sphera to gain even greater control over fire and water to can even summon the Water and Fire Guardians. Witches are known for their prudence in battle. In exchange for the casting time delay, they can perform large-scale magical attacks. Their thorough moves will burn, freeze and shatter their enemies with the power of natural elements such as fire, ice, wind, lightning, and earth. After Awakening, They can use the Aad Sphera to gain even great control over earth and lightning, and can summon the Earth and Lightning guardians. Kunoichis use sword, martial arts, and Ninjutsu. Their swarm of attacks consists of swift movement, smoke shells, and unique skills such as hiding and pulling the enemy into the middle of total chaos. 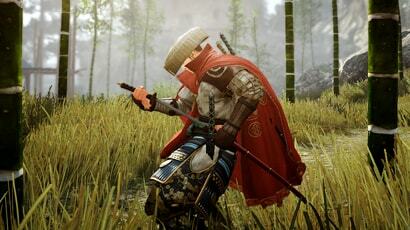 With proper control, a Kunoichi can flip the battle by discreetly raiding important figures. After Awakening, they can use the Sah Chakram to attack their enemies before they even realize what’s hit them. Lahns wield the Noble Sword and Crescent Pendulum. The Noble Sword and Crescent Pendulum are connected by a long cloth or chain, allowing Lahns to freely attack from all directions. Lahns are agile and quick on their feet, and can quickly deliver devastating attacks by swinging their Crescent Pendulum. By careful manipulation of the swinging motion, they can even deliver back attacks with the Crescent Pendulum from the front as well as various combo attacks. The Archer, one of the sentinels of the sacred tree Kamasylve, uses his crossbow for his stylish ranged attack and skill combos. 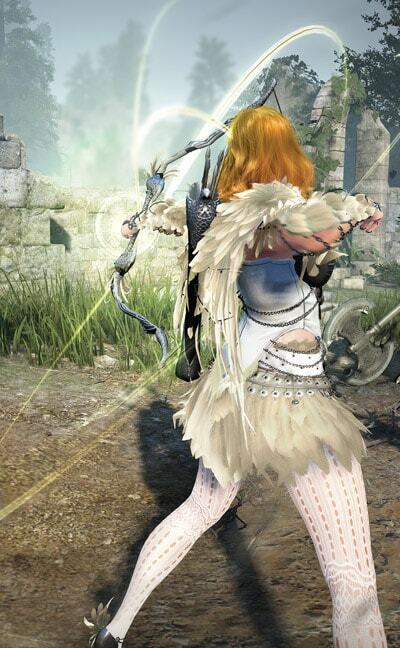 Unlike other classes, the Archer class will start off with access to both the main weapon (Crossbow) and awakening weapon (Greatbow). Starting adventurers will begin their journey in Balenos, a quaint coastal territory. The largest settlement in this territory is Velia, a small city famous for its fishing spots and convenient location by the sea and beautiful ocean views. Before its occupation by the Republic of Calpheon, Serendia used to be a mighty kingdom. Political intrigue is still afoot in Serendia’s biggest city, Heidel, though. While exploring Serendia, you may uncover plots and secrets that threatens the stability of the entire region. 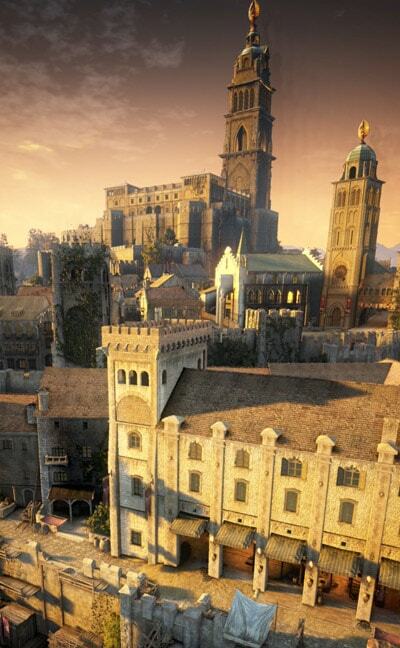 Although dominated by the immense Calpheon city, the capital of the Republic of Calpheon, the rest of the region still prospers through its fertile, but dangerous, farmlands which feed the city. The Republic of Calpheon recently annexed the adjoining regions of Balenos and Serendia, as part of its ongoing conflicts with the Kingdom of Valencia. Mediah separates the Republic of Calpheon from the Kingdom of Valencia, and so is sandwiched between two hostile territories. It is also where Black Stones were first discovered. Mediah is the home to the large merchant city of Altinova, a city where adventurous travelers can get anything their heart might desire. Participate in the rambunctious Altinova Arena, help the illustrious Shakatu Merchants with their trade, or help investigate what really happened during the Three Days of Darkness in Mediah. The arid kingdom of Valencia is home to Valencia city. Dry, unforgiving and covered by harsh desert, Valencia is not an easy place to be. It is however very rich in one of the most coveted resources in the world: Black Stones. Said Black Stones are also the source of the ongoing conflict between the Kingdom of Valencia and the Republic of Calpheon. 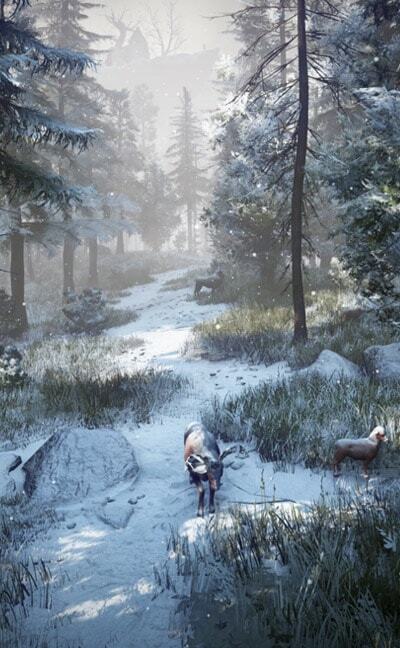 Kamasylvia is the land of the Elves and many nature spirits. It is a reclusive land that only recently opened up its borders to outsiders. In this beautiful yet perilous land, you and your friends can complete the Altar of Training to win gratifying rewards. Explore its capital, Grána City, a tranquil and orderly city with secret of its own and the home to Kamasylve, the great and sacred tree of Kamasylvia. Drieghan, also known as the land of the dragons, is a mountainous region. Along with its capital city Duvencrune, there are also many different areas to explore such as Sherekhan Necropolis, Blood Wolf Settlement, and Tshira Ruins. You can also find Garmoth’s Nest, where the powerful crimson dragon Garmoth awaits. Quint the First Troll lurks at Quint Hill, which is slightly north of Calpheon. This terrifying monster is locked within a stone statue and is set free by the ringing of a bell. Quint is a very tough boss to defeat. Whilst he is standing up he is near invincible. He also attacks players with ever increasing damage and has a ground pound attack that can kill Adventurers instantly. Only those who know his Achilles heel stand a chance against this colossus. A fierce sandstorm hit the Valencian Desert, and while it might have been any ordinary storm, no one had seen one with such magnitude. An explorer’s journal was dug out of the sand, its writer having recorded what he could before being swept away. Within the sandstorm, he spotted the trace of a colossal shadow, which people would later name after him. His name was Nouver. Kutum is an ancient lifeform with an Ancient Shard stuck in its body that functions as its heart. According to old records, Ancient Kutum used to live inside the Scarlet Sand Chamber. The chamber's doors were shut tight as soon as Kutum stopped moving, which then led to the chamber's mysterious disappearance. The thundering sound of Ancient Kutum's heart recently re-opened the doors of the Scarlet Sand Chamber, and its entrance was discovered by archaeologists and explorers. Kzarka is the Lord of Corruption who is said to have the destructive might of a God. Kzarka was safely sealed in a shrine in Serendia, but a suspicious group took over the Kzarka Shrine in the turmoil of war and is now attempting to break his seal. Heidel has dispatched troops to retake the shrine several times, but each attempt has ended in failure. Harpies are social creatures who choose the strongest female in their group to lead. They call this leader Karanda. Karandas are critical to the very continuity of Harpies as a species because they are the sole females to incubate eggs. Some scholars argue this is because Harpies hatched from the Karanda are more likely to have absolute loyalty to their leader, not only as subjects, but also as progeny. Vell is a fearsome, gigantic sea monster that lurks beneath the waters of the Great Margoria Ocean. This massive beast is as large as a whole city and coastal areas are often attacked by this colossal beast. Only by working together can this massive beast be slain. In the Mansha Forest, there is a place where even the Manshas wouldn't dare get close to. This is a place where 'Muraka' appears. Due to its violent nature where it destroys anything near, there is no single tree standing in where it lives. It is hard to learn about the relationship between ogres and Muraka as ogres do not live together. However, people still call it Muraka, the 'King of Ogres'. Garmoth the Crimson Dragon was the smallest of all the dragons in Drieghan but it was peerlessly cunning. It was thought that Garmoth was slayed by the Sherekhans like the other dragons. However, it went into a deep sleep after being gravely injured and was nursed back by the Blood Wolves. Garmoth was able to quickly regain its strength thanks to the tributes the Blood Wolves paid it. Arena of Arsha is a special battle arena where YOU become the host to hold PVP matches. Starting today, engage in glorious battles with you hosting and setting up every part of the matches! Stage your battles, choose your own teams, and step into the fierce and feisty, Arena of Arsha. Evil emerges from the Savage Rift and it is up to you and your team to defeat ever increasing hordes of enemies and menacing bosses that are after the Sealed Tower. Earn points and use them to buy powerful siege weapons and work together with your party members to survive the ongoing onslaught. 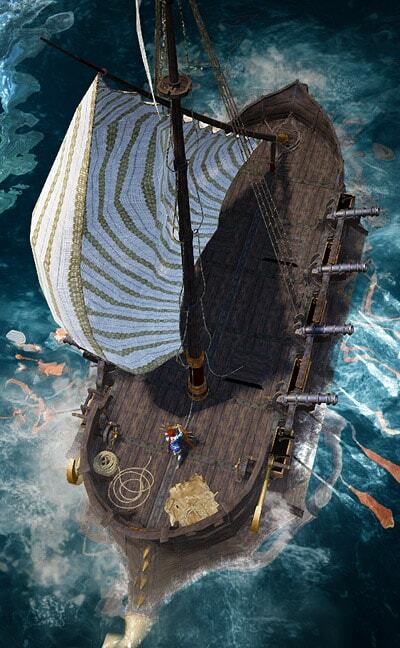 While sailing across the Magoria Sea on your boat, there are many threats you may face. From massive sea creatures to ghostly pirates, danger might come from any direction! Taking up the majority of the Valencia territory, this area is nicknamed the “Black Desert.” It is scorching hot by day and freezing by night, making it extremely difficult to cross for travelers and treasure hunters alike. Occasional sandstorms can take your life away in a gust, you have not properly prepared. Rumor has it that countless treasures and artifacts are buried in this desert, but few dare to venture there. Just surviving in this desolate place is a challenge alone. Protect your guild's interests and guard your wealth and trade routes by annihilating rival guilds in fierce ship to ship combat. While Node War occurs daily and is a skirmish over single Nodes, Conquest War is a weekly bloodbath over the control and sovereignty of a vast region. This region is referred to as a “Territory” and each Territory will contain a number of Nodes. If your Guild is victorious in a Conquest War, your Guild will have the honor of ruling that region and will enjoy immense economic growth and expansion through taxation of that Territory. 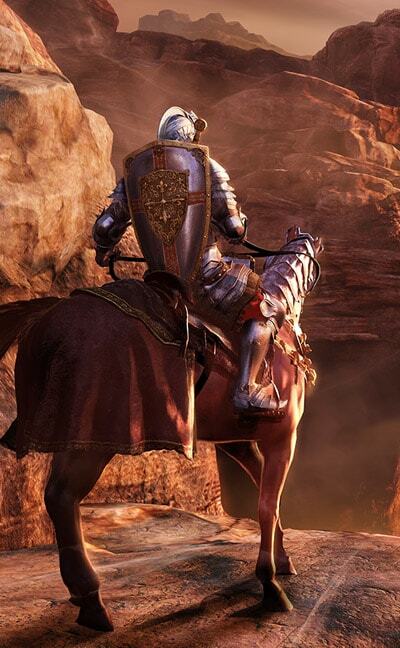 Conquest wars takes place Weekly at the of Calpheon, Mediah and Valencia Castles.